Beer is celebrated throughout the world. Link up to the grand diversity that awaits! Hiroyuki Fujiwara has created a high quality beer magazine with an international flair. Balut would be a new experience for most of us who live in America, but how many of us would dare to try it if we lived in the Philippines? A reflection of the joie de vivre attitude of the French, Biere de Garde is one of the best-kept secrets of Nord Pas-de-Calais! They were going ballistic, perhaps not in the wee hours of launch; but it took only three years to initiate a war for supremacy in the world of high alcohol beers. 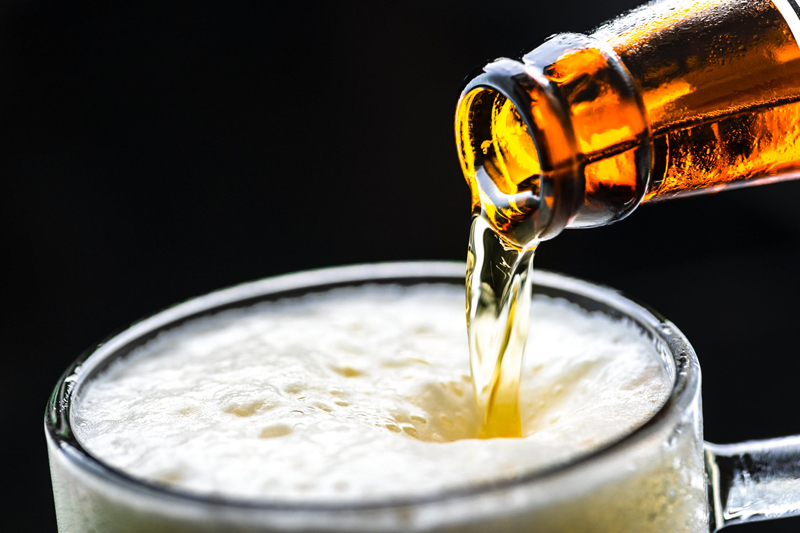 The World Beer Cup is dedicated to recognizing both the traditions and innovations shared by the entire brewing industry as well as those customs unique to specific countries and regions. Copa Cervezas de America, Chile’s first national craft beer competition is set for September 2011, and will showcase the diversity of all craft beer produced or sold in South America. In 2008, the duvel arrives in America, dressed in green. Tom Peters graciously opened the back bar of Monk’s Café in Philadelphia, Pennsylvania, for a special preview tasting of Duvel Green. When he said his name was Ron Extract, I laughed. How far will an importer of premium craft beer stretch a joke? All the way to Belchertown, Massachusetts? Chile's commercial brewing scene has entered maturation and its brewers are ready for prime time. On the North side of the River Thames, a slate footpath, dotted with hitching posts on the far end, leads the curious pub-seeker through a lapse in time, into a narrow alleyway of classic brownstone and stucco. Highlights International Beers and Festival Bar for the GBBF. Through the darkness of the Dublin cityscape, the Gravity Bar, hovering above the roof at Guinness Storehouse, emits radiant white light into the sky, reminiscent of the seductive, creamy head on a pint of world-renowned Guinness Draught. They have been protectors of the masses for hundreds of years, guardians of sustenance, promoters of the common good. After only four months of production, Mata Artesian Beer snatched a Bronze Medal in the Pale Ale - German Style Kolsch Division at the New Zealand International Beer Awards in Nelson. The Nippon Craft Beer Festival 2007 was held in Tokyo on September 30, 2007 – the day of the worldwide Toast to Michael Jackson, who passed from our beer world one month earlier. Upon entering this lovely Polish restaurant, the subtle flavor of Eastern European hospitality brought back fond memories of traditions that were a part of my own childhood. Was it the nondescript aromas of delicately merged cuisine in the background...? During his tenure at Stone Brewing from 1998 to 2001, this talented brewer was cultivating preferences for saccharomyces cerevisiae, cask conditioned real ale, and the art of creating new styles of beer that had long been non-existent in the Japanese world of pale lagers and saki. What makes a Night Cap so seductive? Is it the torrid anticipation of Bohemian passion that accompanies the relaxation of inhibition? England´s rich history overflows with tales of invading armies, controlling royalty, religious rites, and hospitable alewives, while creating a tradition of fine brews known as English Brown Ales, Bitters and Mild Ales. Airport security was unusually tight. Under watchful eyes, laptop owners removed battery compartments and disconnected PCMCIA cards, while the contents in their backpacks were carefully scrutinized. Tourists endured frisking at random, and the air was abuzz with confusion. Interested in beer with that International flavour? Countries are listed - then scroll down a bit for a "List of Commercial Brands of Beer." Incredible! Not only have American brewers mastered the styles of their European heritage; they have also introduced a degree of innovation and extremism that places them on the cutting edge of brewing history. The Brewers Association World Beer Cup 2006, the largest international professional beer competition in the world, opens its arms to the global community from April 10-14, 2006 at the Washington State Convention and Trade Center in Seattle, Washington, USA. Discover the international flavors of Chinese Beer in Canada. Enjoy the fireworks! The sky fills with light that slowly dissipates, dissolving into an image of the Chinese Dragon, potent symbol of auspicious power. Such is international flair! Such is Zhujiang Gold!